Do you fancy sunning yourself on a beautiful beach while sipping a fruity cocktail? 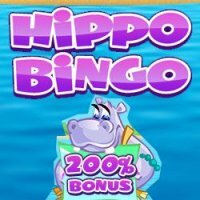 Then head on over to Hippo Bingo that will make you feel like you are right there with Hetta the Hippo on a beautiful tropical island. There are lots of great bonuses and promotions to take advantage of at this site as it is part of the popular Dragonfish network and players can win huge jackpots if they play their cards right! Hippobingo website is bright, colourful and inviting. It has been well designed and thought through. Powered and operated by the ever reliable Dragonfish/ Cassava software, players will be in safe hands as far as security is concerned; the operator is licensed in the UK and heavily regulated. Registering, depositing and withdrawing are straight foward and user friendly. New registered members will be credited with a 200% cash back bonus on their first deposit for up to £200. In other word, deposit £10 and you get £20 free bonus added to your account. Please read the terms and conditions very carefully. 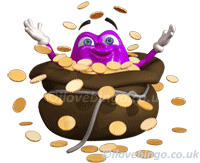 As this is a Dragonfish networked site, promotions are definitely not in short supply at Hippo Bingo. There are tickets to be won every Friday to play in the £10,000 Jackpot game, players can be rewarded with loyalty points weekly, and Grab A Grand on the 15th of each month. What’s more, players can also buy two tickets and get one free to play in jackpot games of up to £30. 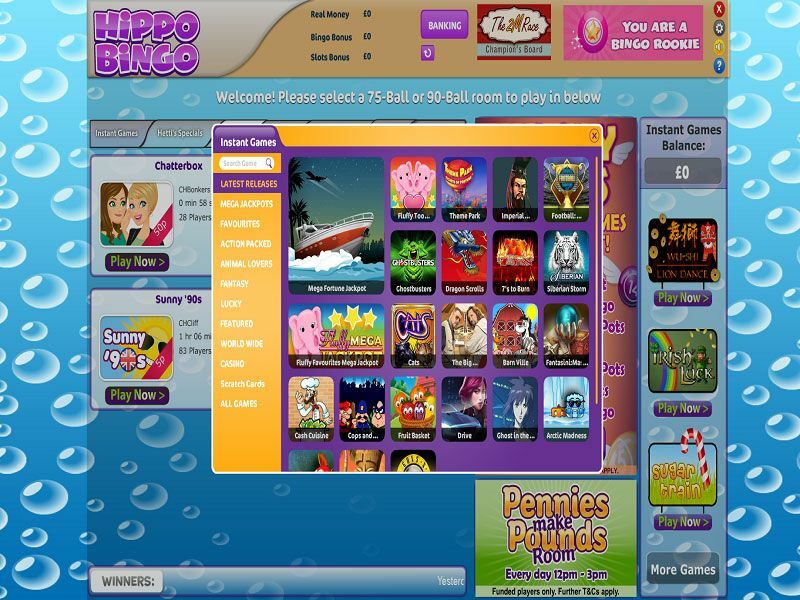 Bingo game variations available at Hippo Bingo are the standard 90 Ball and 75 Ball bingo games, as well has High 5 Bingo. 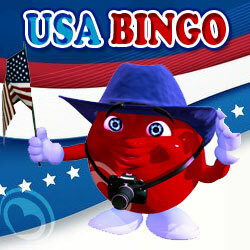 Free bingo is also available too. 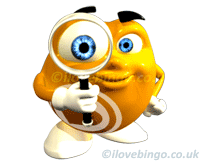 Ticket’s for games start at just 1p for games such as Pennies Make £’s and The Big Night In. 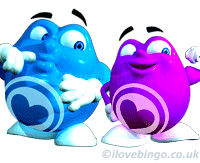 There are also network special games to be foubd on this site, such as Butterfly Bingo’s Wacky Wings bingo game. 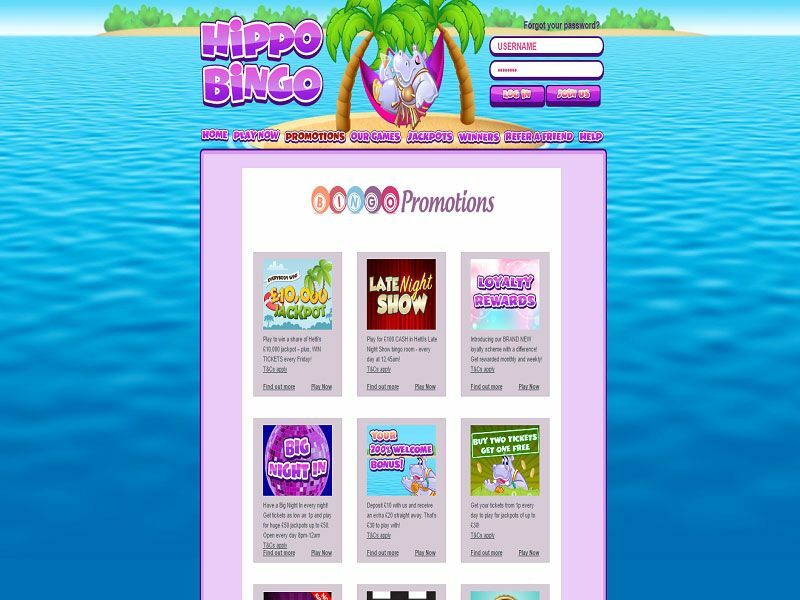 There are lots of great instant games to enjoy at Hippo Bingo, and with over 190 instant games available there is hours of fun to be had at this site. 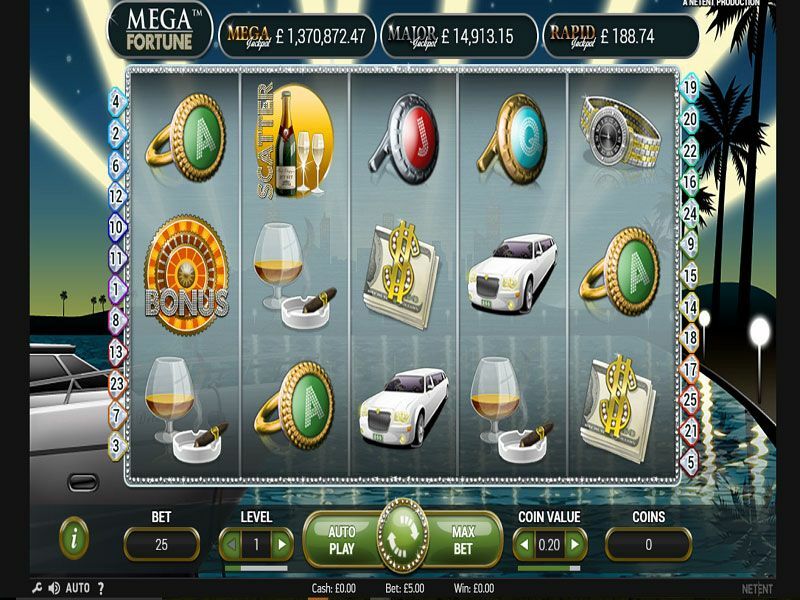 Players will find popular slot games such as Cleopatra, Fluffy Favourites, and Sands of Fortune, as well as a range of casino game favourites including blackjack and roulette. As part of Dragonfish/ Cassava Network Hippo Bingo boost an impressive range of games with 167 slots, 27 Scratch cards and Instant games (including Keno), 30 Branded games (monopoly, deal or no deal etc. ), and 17 classic casino games. 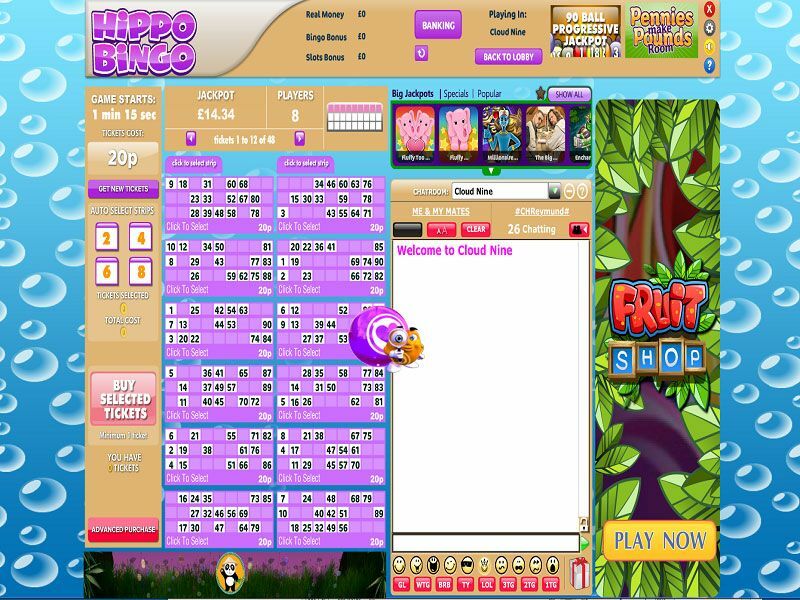 Hippo Bingo can be played on desktop computers and laptop as well as on most smartphones and tablets (subject to downloading the app).